Come along for a rollicking ride in this picture book celebration of vehicles that puts girls in the driver’s seat! Girls can race…and girls can fly. Girls can rocket way up high! 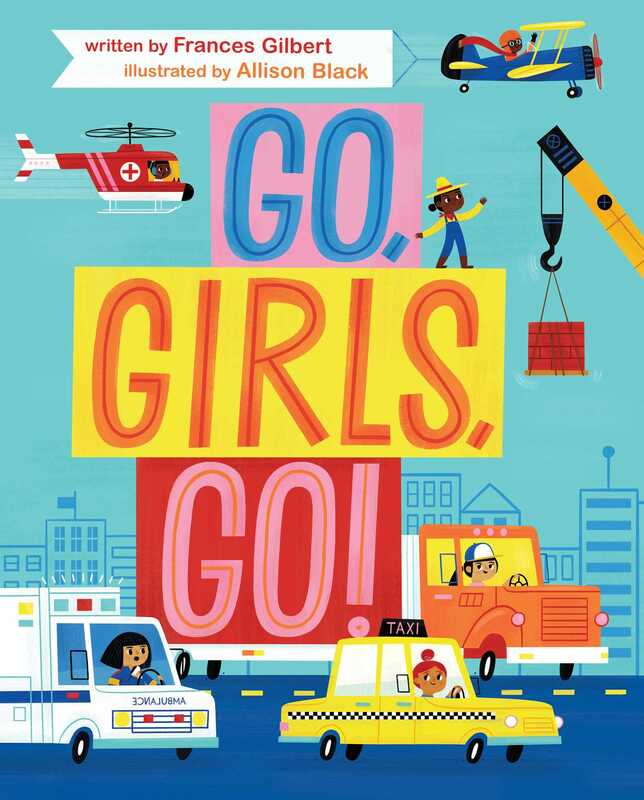 Piloting fire trucks, trains, tractors, and more, the girls in this book are on the go! Join them for an exuberant journey that celebrates how girls can do—and drive—anything. Frances Gilbert is associate publishing director at Random House Books for Young Readers. Go, Girls, Go! is her first picture book. Allison Black is an illustrator and designer specializing in cute and colorful creations. Originally from upstate New York, Allison received her BFA at Syracuse University, and has since lived in Los Angeles, Minneapolis, and now Columbus, Ohio. Over the years, she has developed products ranging from baby bedding and toddler clothes to Christmas ornaments and Easter baskets. But no matter what she’s creating, she always brings a little Allison flair to the product through her illustration style, thoughtful design, and fanciful critters. Book Cover Image (jpg): Go, Girls, Go!